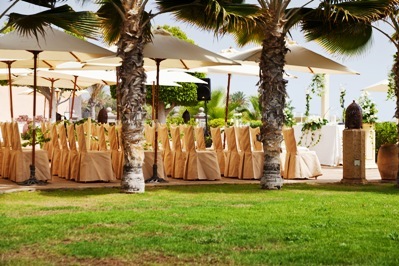 Tenerife is surrounded by the azure blue Atlantic and is the largest of the Canary Islands. 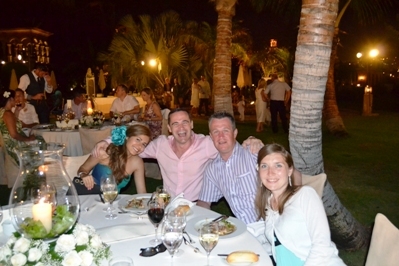 The Island is famous for its beautiful beaches, continuous warm weather and fantastic places. 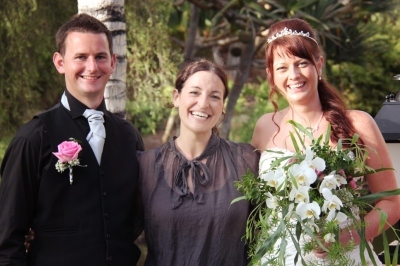 This lovely couple wanted to get married abroad in wonderful Tenerife and Nadine García Breuer, their wedding planner in Spain, realized that special wedding dream for them in a stunning wedding venue. 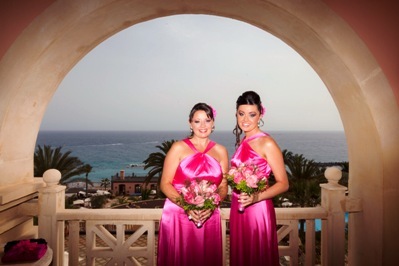 Have a look at the pictures and see how beautiful their ceremony and reception meal was. 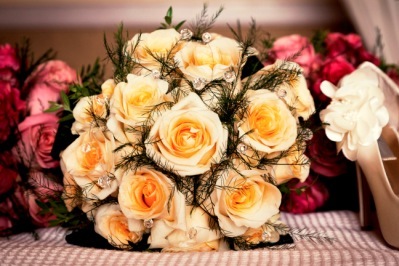 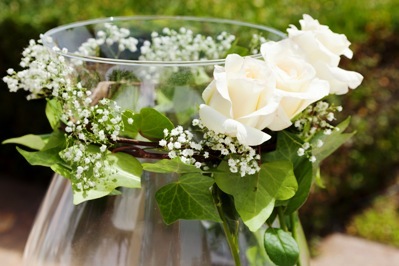 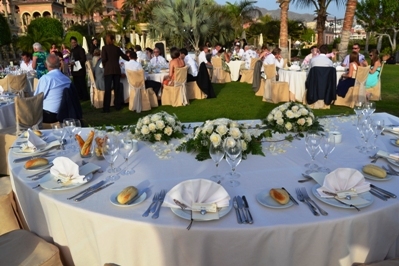 In this beautiful venue everything is prepared perfectly for the bridal couple and their guests. 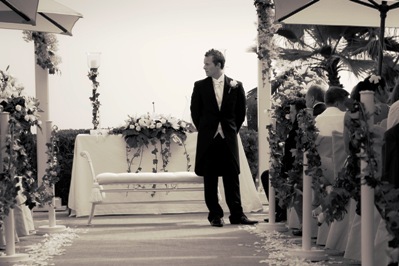 This day will be unforgettable! 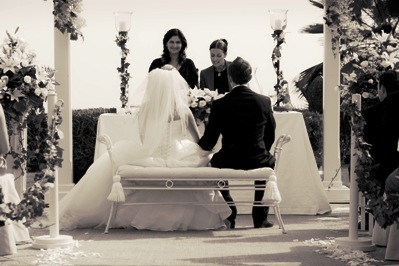 Beautiful pictures of some of our traditions for the ceremony! 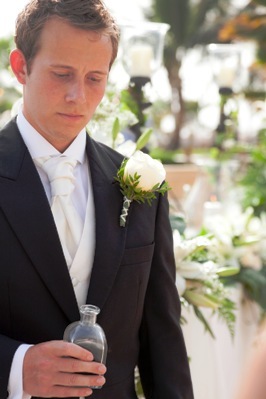 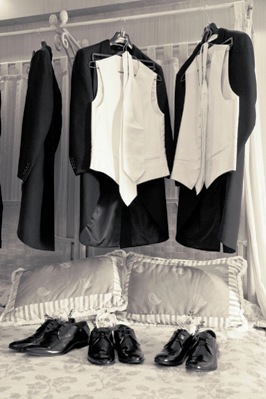 The best men assist the groom to look perfect on his wedding day! 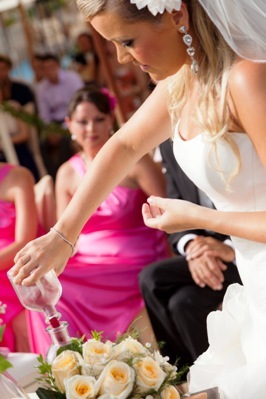 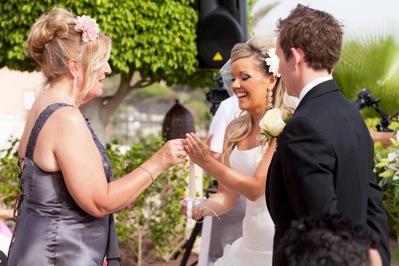 Our professional stylists for make up and hair ensure that the bride looks absolutely stunning! 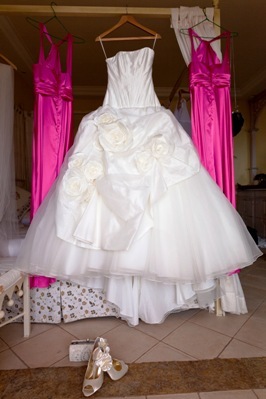 The beautiful bridal gown and the bridesmaids dresses fit perfectly! 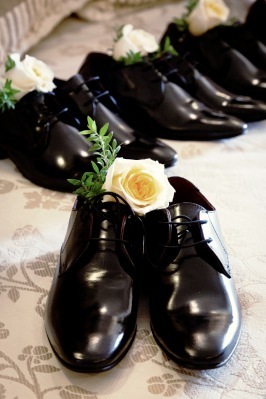 The bride´s shoes and the beautiful bouquet! 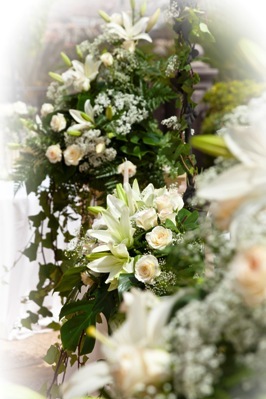 The last arrangements till the ceremony starts! 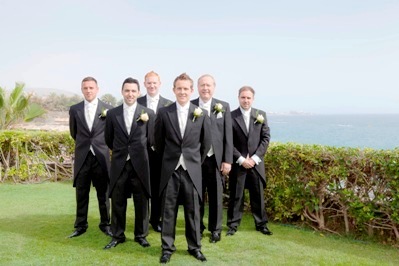 Amazing sea view and beautiful pictures of the best men and the bridesmaids. 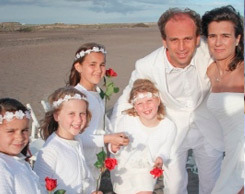 The dad accompanies his daughter to her future husband and the lovely decorated altar! 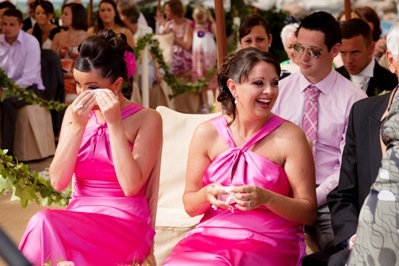 They really enjoy the romantic speech of our English speaking marriage celebrant. 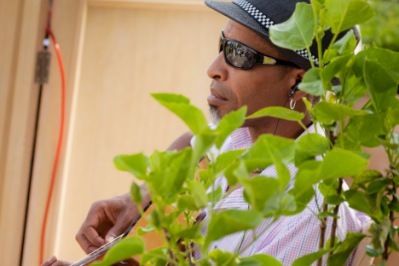 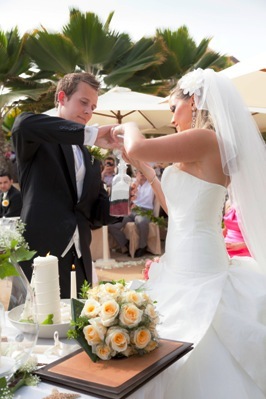 The talented guitar player of My perfect wedding creates a very heart-touching athmosphere playing sensitive songs! 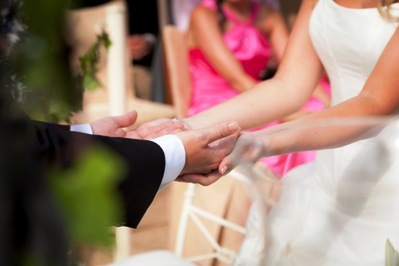 The hand ceremony is one of the highlights on the wedding day of this lovely couple! 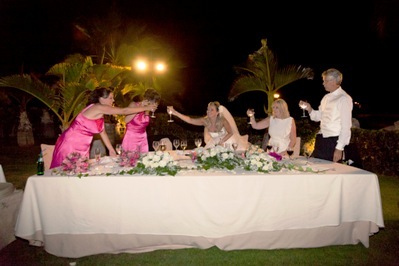 Nadine García Breuer, their wedding planner in Tenerife, translates the official parts of their wedding speech, wich has to be in Spanish, into English! 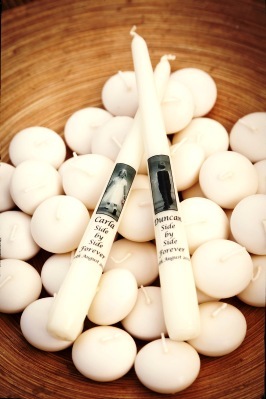 The bridal couple lights candles with their friends and families as a sign for affinity. 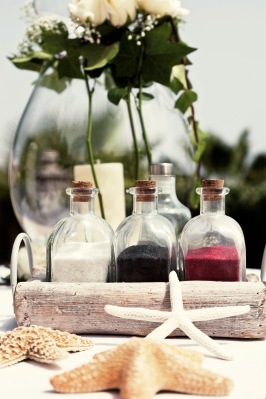 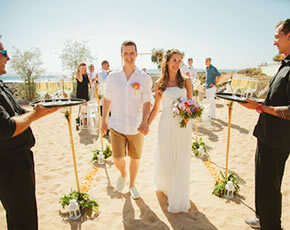 Both of them like the sand tradition created by My perfect wedding. 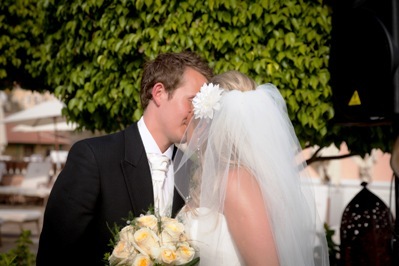 Exchanging the wedding rings and the long-desired wedding kiss. 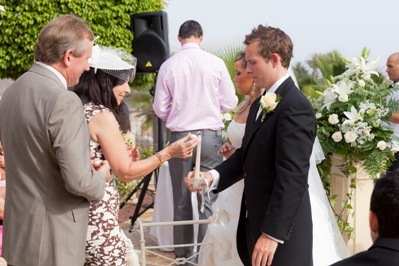 The bridal couple and parents signing the official documents! 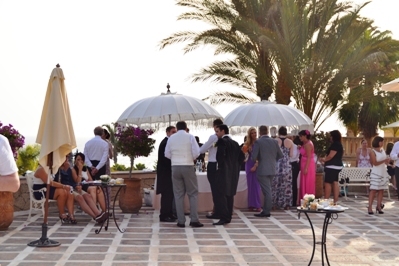 Not only the bride, but also their guests are very happy! 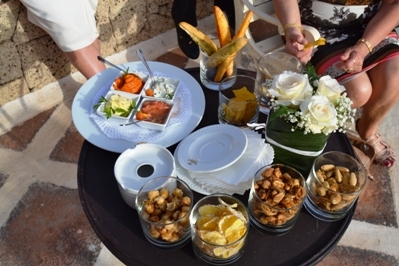 After the wedding ceremony they enjoy the beautiful sea view at the deck and some delicious snacks and champagne! 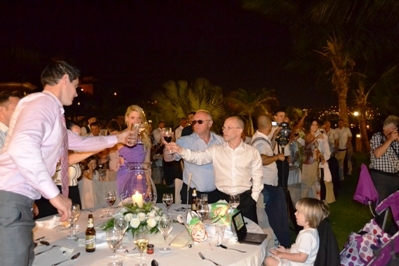 It´s a good feeling to celebrate the love of this couple! 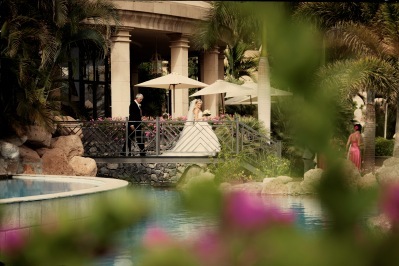 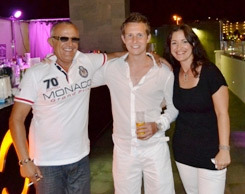 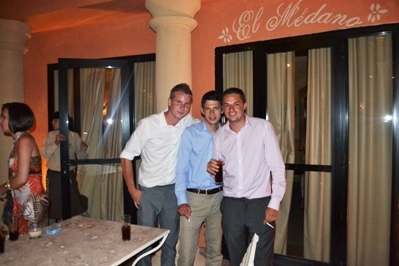 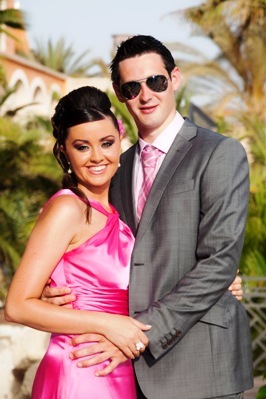 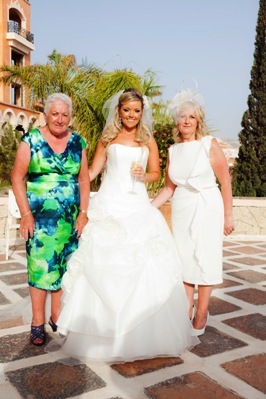 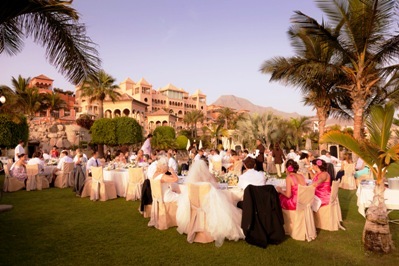 Wonderful pictures in their wedding island Tenerife. 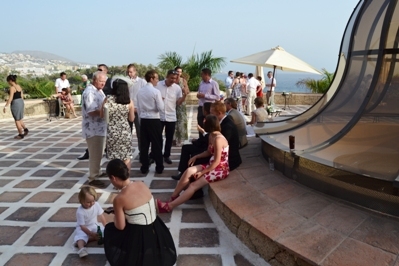 For the My perfect weddings photographer it´s easy to make a wonderful picture with many guests! 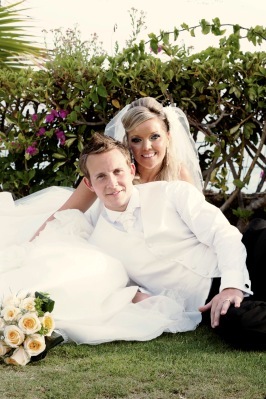 Start of their photo shoot as husband and wife! 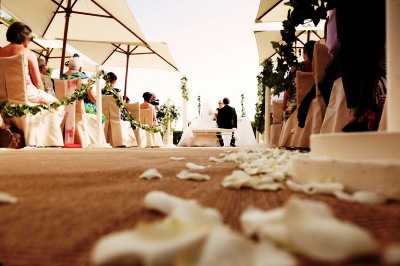 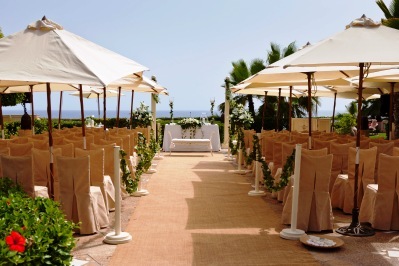 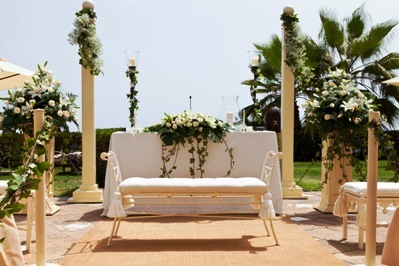 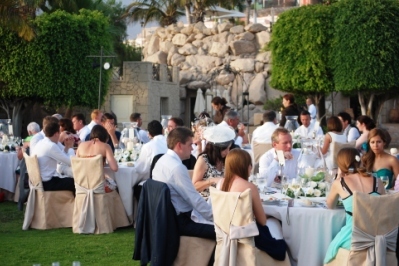 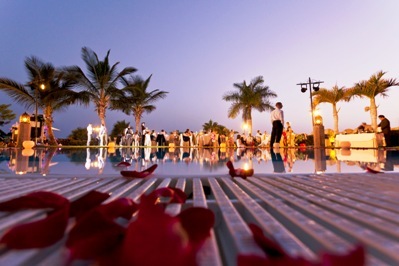 The Canary Islands are perfect for their wedding day abroad! 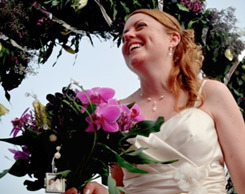 The just married bride looks gorgeous in front of that green background! 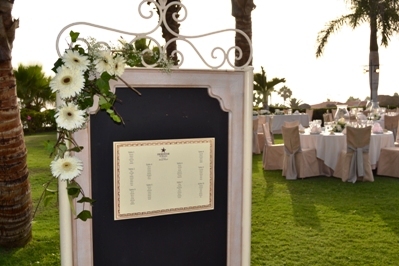 The nice designed seating order and the table of the bridal couple and family! 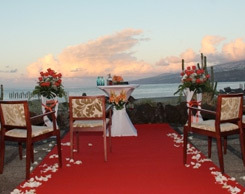 The tables are decorated in their wedding colours. 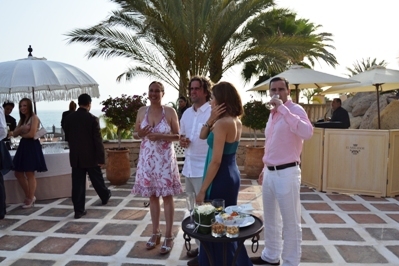 The guests and the bridal couple enjoy the reception meal and the funny speech of the bride´s dad! 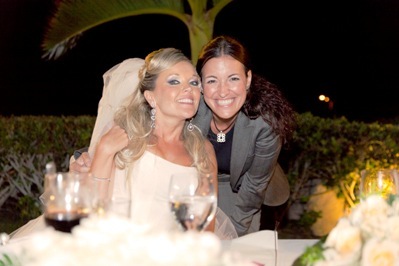 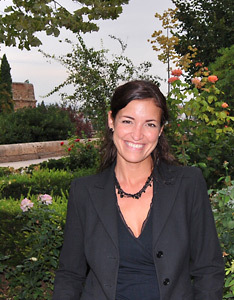 The bride thanks Nadine Garcia Breuer, that she fulfilled her dream wedding in this amazing venue! 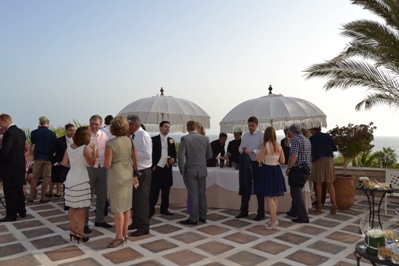 The venue is absolutely perfect for one of your best days in life! 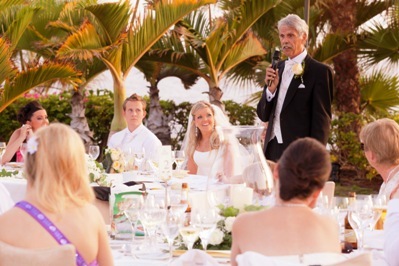 Also the speech of the husband, the best man and even the bride ones were very entertaining. 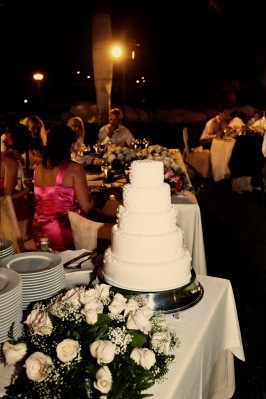 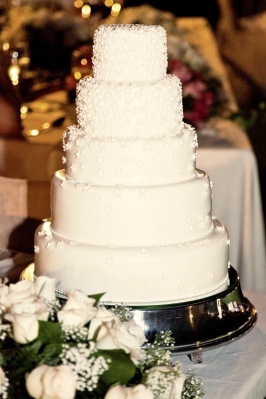 Everybody looks forward to see the bride and groom cutting the delicious wedding cake! 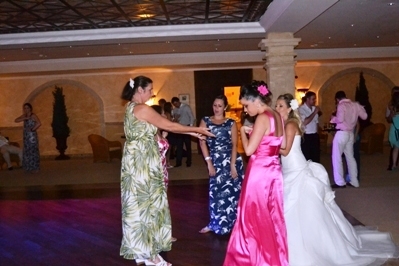 At midnight they have a great party in the venue’s disco! 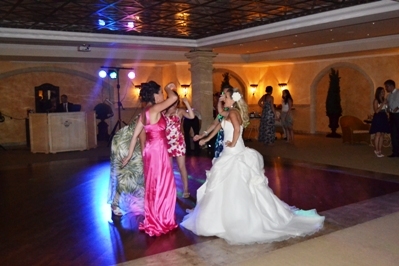 Our talented Dj played only good songs! 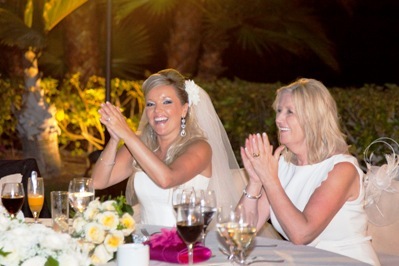 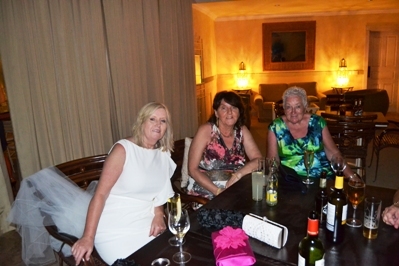 One of their wedding highlights – they met Sean Paul, a famous musician, at their wedding venue! 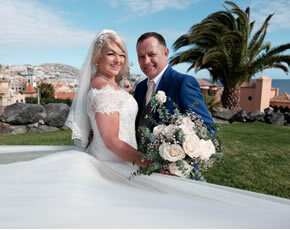 My perfect wedding wishes the fanatstic couple only the best for their future and that they will never forget this great day in Tenerife!